HomeBooks by AgeAges 0-3The Children’s Book Review Trends: What’s Hot in September, 2009? 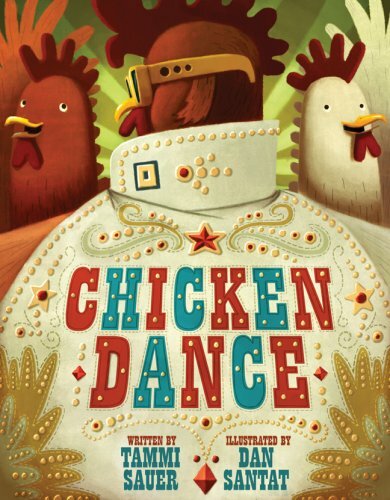 The Children’s Book Review Trends: What’s Hot in September, 2009? Here is the scoop on the most popular destinations on The Children’s Book Review site, a glimpse at the cool new releases that September has to offer, and one exciting literacy event. Question: What are others looking at when they visit TCBR? Answer: Most people like a bargain, and a lot of people like to keep up with the latest technologies. So, it comes as no surprise that people are very interested in knowing “Where to Find Free e-Books for Children On-Line“. Bargain hunting is even more important after all of that back-to-school shopping you just had to do. And even though your kid is all decked out with the coolest clothes and the best backpack, there may still be some serious settling in to do. Which is why our “Back to School Book Picks” has probably been seeing some parent volunteers stop by before stopping to read our post about “The Importance of Being Different“. But, it can’t all be about school, especially after such a fun summer. Which is why I am almost positive that the movie release of “Cloudy with a Chance of Meatballs” will be a huge hit this weekend at the box office! Question: What are the most coveted books that release this month? Question: What are some of the best selling children’s books this month? This information was gathered from the New York Times Best Sellers list, which reflects the sales of books from books sold nationwide, including independent and chain stores. It is correct at the time of publication and presented in random order. To see the full list you can visit the original list at www.nytimes.com. Question: It’s no secret that it’s cool to read. Where can you be seen promoting literacy and encouraging kids to read? Answer: If you live in the MD/VA/DC area, check out “The Art of Reading” event that is being hosted by www.The ReadingConnection.org and www.pyramidatlanticartcenter.org. Somewhere else you recommend being seen during September? Leave your suggestion in the comments field below. If you live in the DC area. . . The National Book Festival is September 26th from 10-5 on the Mall. Awesome Event! Tons of authors — lots of activities for adults and children!